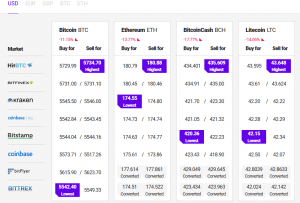 After a strong sell-off the crypto market just touched new lows. 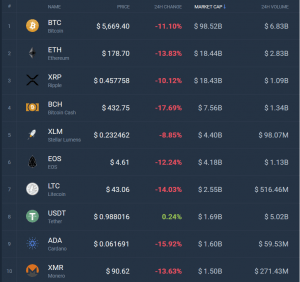 On Thursday morning (UTC 05:50 AM), out of top 100 cryptocurrencies by market capitalization only three are in green. 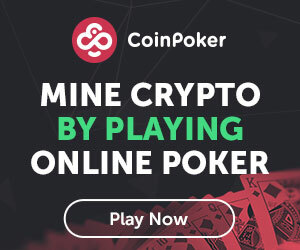 Two of them - stablecoins. What is going on? What possible reasons for the sell-off are and what the market might expect? Let's dive in. 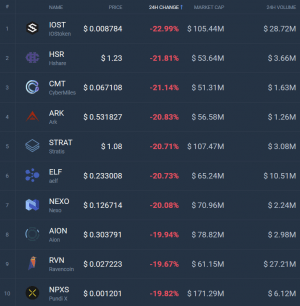 Interestingly, the overnight crypto sell-off also brought Ethereum and Ripple's XRP closer to each other in their battle for the number two spot on the ranking of the most valuable digital assets. 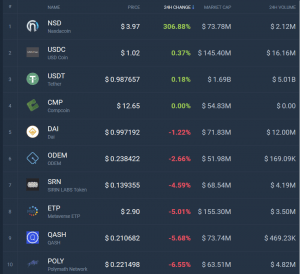 Following a 14% sell-off in the price of ether, XRP has now overtaken Ethereum’s traditional position as the second most valuable cryptocurrency by a margin of about USD 100 million. 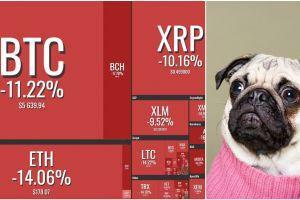 "Crypto price slumps can often create misconceptions about the future of our industry, but perhaps what is most important to remember during periods of volatility is that the underlying blockchain technology solves real-world problems across the real economy. Crypto prices may rise and fall for reasons that are difficult to identify, however, the blockchain industry will remain strong and continue to grow."